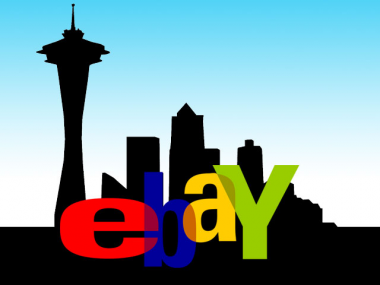 EBay has opened up an office in the suburbs of Seattle, where it has aggressive plans to double the number the employees it has there, to 150. The e-commerce giant (a term typically reserved for Amazon in these woods) is one of the larger examples companies from the Bay Area that are setting up shop here and looking to soak up some of the Northwest’s rich engineering talent. Other companies with satellite offices in the Seattle area include Google, Facebook, Zynga and Salesforce. “I’m surprised I ended up at eBay, but the story is compelling,” said Ken Moss, who was hired in November to be eBay’s VP of managed marketplaces technology; Moss is GM of the Redmond office. A long-time Microsoft employee whose claim to fame includes inventing the Pivot table in Excel, Moss more recently co-founded CrowdEye, a start-up focused on search technology and later on stock market prediction. He said eBay’s dedication to the region is one of the biggest selling points for recruitment. Most of the 75 employees that currently work there were hired over the past few months, and a small team has been here for seven years. Among the newbies I met were a number of Microsoft veterans who had been there for 12 to 15 years. “We are first-class citizens,” Moss said, referring to sometimes strained relationship between remote workers and a company’s headquarters. Eric Brill, VP of eBay’s research labs, is also based in the Redmond office, and has been working part-time there since joining the company in 2009. Moss said eBay will be looking to hire a range of technologists, from college graduates to senior leaders, including developers, testers, researchers, data miners and other positions. While I was at the office on Tuesday, the mountains were peeking out from the clouds and were easy to spot from the floor-to-ceiling windows on the fourth floor. It was easy enough for everyone to have a window seat in the open-floor plan. Although the employees just moved in on Monday, a sign outside the building already announced eBay’s presence. Inside, workers were busy putting the final touches on the space to make it feel like eBay. Primary colors of red, blue, yellow and green highlighted the office walls; with a bit of Seattle flair, conference rooms were named after Northwest tribes such as Puyallup and Quinault (and other names that might be difficult for San Jose-based employees to pronounce). But missing were some of the perks that some recruits expect these day — no shuttles to and from work or fancy cafeterias, for instance. In fact, eBay has a long way to go to compare with what Google has done here. Since entering the market seven years ago, Google has hired more than 900 employees, spread across two locations, a spokesperson confirmed. One office is in Seattle’s Fremont neighborhood; the other is on the Eastside. The two offices are geographically divided by Lake Washington, which can be crossed by one of two floating bridges — or by boat, if you are crafty enough. The traffic bottlenecks make for a horrendously notorious commute, so having two locations that straddle both sides is a huge perk — like having offices in both San Francisco and San Jose. Because of Google’s size here, many of its perks are similar to its Mountain View headquarters, including free meals prepared by chefs, frozen-yogurt bars and other, mostly food-based, luxuries. In eBay’s case, the new digs are located deep on the Eastside, a couple of miles past Microsoft in Redmond, and roughly 15 miles from Jeff Bezos’s empire in downtown Seattle. Recently, Amazon relocated its headquarters to a brand-new campus in South Lake Union, a neighborhood being revitalized by former Microsoft executive Paul Allen. Other outside companies that have also established sizable tech centers here include Facebook and Zynga. A couple others have gained offices through acquisitions. Electronic Arts, for instance, now has a large office here, after acquiring PopCap; EMC now has big expansion plans here, after purchasing Isilon. And Geekwire, a Seattle-based technology blog, is good at keeping an ongoing tally, including recent moves into the area by Jawbone and SweetLabs, a San Diego-based start-up, based by Intel Capital and Google Ventures. Two years ago, Facebook opened an office in the heart of downtown Seattle. It plans to move soon to a 27,000-square-foot space that will have room for about 135 employees. The 70 or so engineers in the office today have worked on projects such as video calling, the Facebook iPad app and other big issues, such as security. Last April, social game maker Zynga opened an office in Seattle’s historic Pioneer Square neighborhood, hoping to absorb some of the game talent here, spawned from Xbox and Nintendo, and cloud-computing knowledge from Amazon. It has 50 employees today, but declined to say how many it planned to hire in the near future. As with most of these companies, eBay believes it can find a diversity of talent here that can’t always be easy to hire in the Bay Area. As a Seattle native, and having covered tech here for the past 12 years, including an eight-year stint at the Seattle Times, I might not be the most unbiased on the subject. But I’ve seen first-hand the breadth of talent here, from Microsoft, Amazon, Expedia, T-Mobile and many others, including a strong start-up pool. Despite that, the local tech community often suffers from an inferiority complex when it compares itself with the Bay Area, which is much larger. Still, it seems that Silicon Valley companies are finding a number of excuses to travel north to drink from the area’s plentiful tech waters.